From the amount of hate expressed online, it appears clear that conservative-minded viewers think that when Stephen Colbert takes over LATE SHOW WITH DAVID LETTERMAN, he’s going to turn it into THE COLBERT REPORT ON A BROADCAST NETWORK. Relax, Fox News. Take a chill pill, Rush Limbaugh (on second thought, Rush, stay away from pills!). 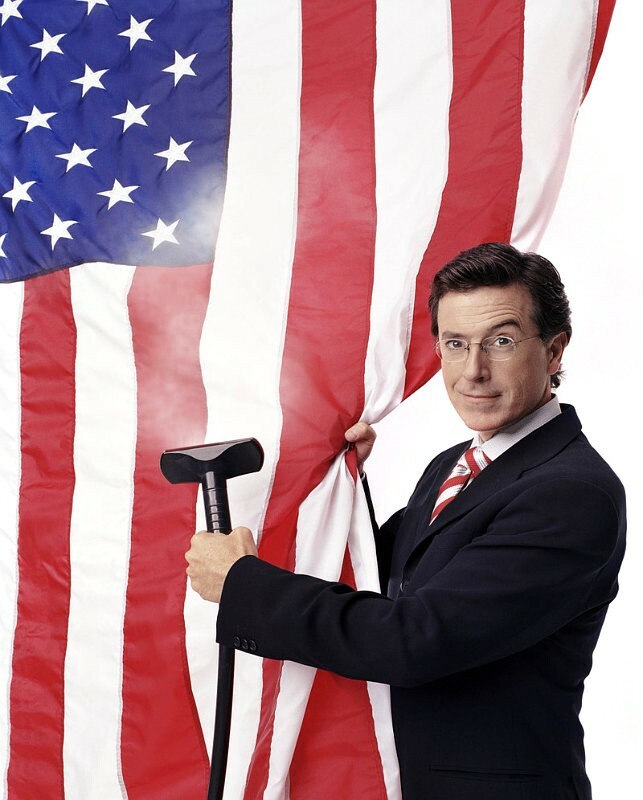 The Stephen Colbert who appears on THE COLBERT REPORT is a fictional character; he’s not real, he’s a fabrication. Think of it this way: That Stephen Colbert would fit perfectly into the fantasyland where most GOP politicians think they live. In other words: No connection to the real world.